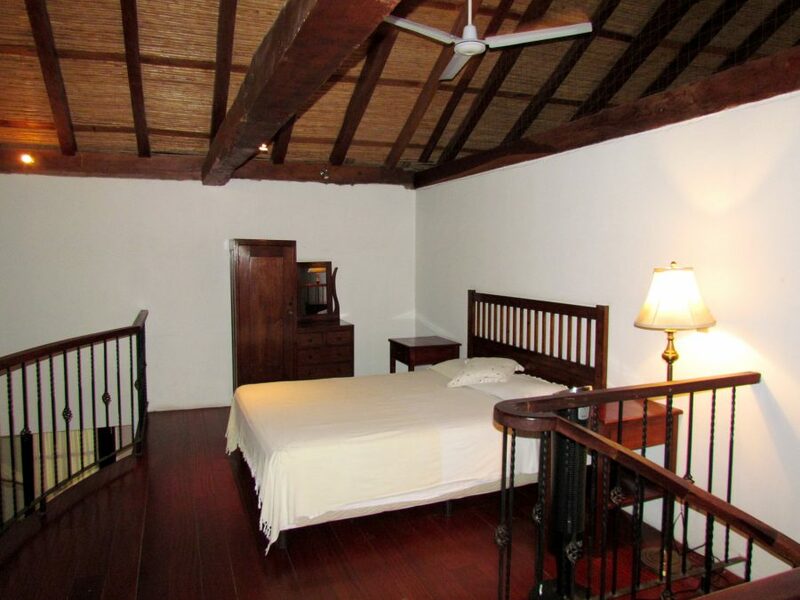 The apartment has its own entrance or may be fully opened into the main villa if a fifth bedroom is required. 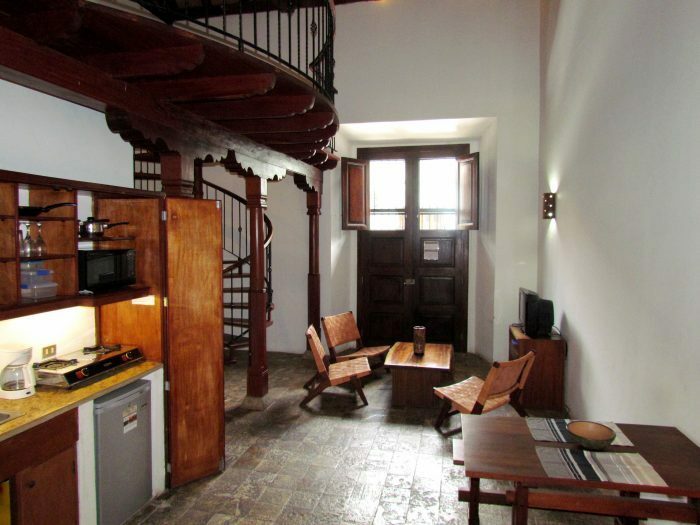 With 30 foot ceilings, a spiral staircase to the sleeping loft, and four foot thick adobe walls, the apartment is a special part of the villa. The living area of the apartment shares the same handmade contemporary Nicaraguan furniture found through the villa. Double doors open to the street for the full Granada experience. Stay once and you'll want to come back. Anyone who has stayed at Casa Consulado comes back. We have a very high rate of repeat guests.